Have all the comforts of home at fifteen thousand feet. 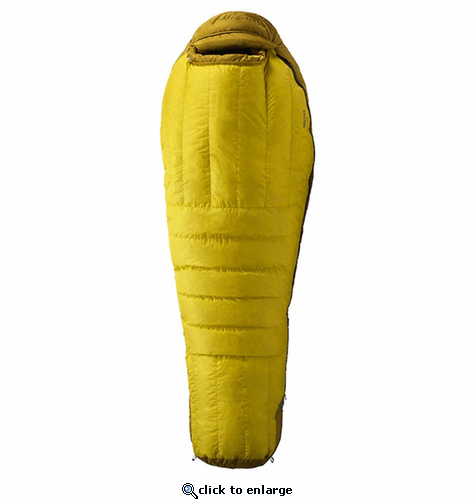 Rated to -20 degrees Fahrenheit, this bag is filled in Santa Rosa, California with high quality 800+ fill-power goose down, and constructed with Pertex Shield waterproof, breathable fabric for outstanding weather resistance and durability. The down-filled draft tube features a hidden pocket for stashing nighttime essentials.